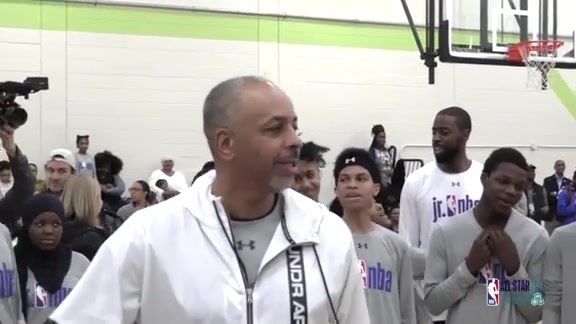 One of the top bench players in the NBA during his era, shooting guard Dell Curry’s decade-long run in Charlotte was synonymous with reliability, leadership and above all, three-point excellence. The Hornets snagged Curry with their top selection in the 1988 NBA Expansion Draft. 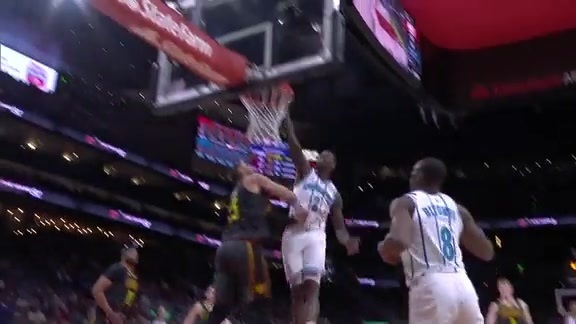 Curry, who split his first two seasons with the Cleveland Cavaliers and Utah Jazz, became an offensive force off the bench in Charlotte, eventually averaging double-digit points in all but one of his 10 seasons as a Hornet. Curry’s best season with the team came in 1993-94, when he averaged a career-high 16.3 points on 45.5 percent shooting, 3.2 rebounds, 2.7 assists and 1.2 steals in 82 games as a reserve. He became the first and still only player in franchise history to win the NBA’s Sixth Man of the Year Award. Curry is also one of just two Charlotte players to ever compete in the Three-Point Contest multiple times, doing so in 1992 and 1994. 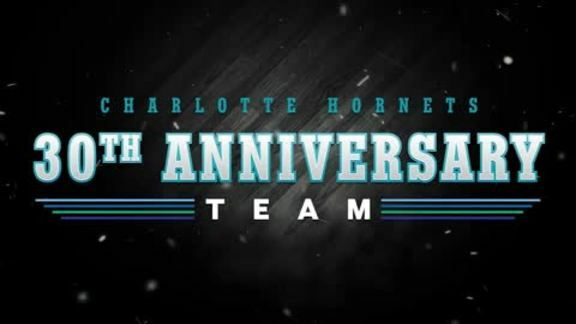 He played a significant role on four Hornet playoff teams, including two that reached the Eastern Conference Semifinals in 1993 and 1998. Curry currently ranks 10th in franchise history in postseason points (216) and fourth in three-pointers (20), despite only starting one of his 25 career playoff outings with the team. Curry would ultimately average 14.0 points on 46.2 percent shooting (40.5 percent from three), 2.9 rebounds, 2.0 assists and 1.1 steals in a Charlotte franchise-record 701 appearances, only 77 of which were starts. He left the team in the summer of 1998 as an unrestricted free agent, going on to play four more NBA seasons with the Milwaukee Bucks and Toronto Raptors before retiring in 2002. The marksman remained the franchise’s all-time leading scorer until last season, when his 9,839 career points were finally surpassed by Kemba Walker. Curry still sits first in career field goals (3,951), second in three-point field goals (929), third in steals (747), seventh in free throws (1,008) and eighth in both total rebounds (2,022) and assists (1,429). Since 2009, Curry has worked as the Charlotte Hornets television color commentator, first with Martin and now alongside Eric Collins.